Dedicated and committed to scoliosis treatment with the Schroth Method, Dr. Moramarco has been helping patients with scoliosis since 2002. He first used the Schroth Method successfully to help his own daughter. Learn more about how he got interested in helping people with scoliosis at Scoliosis 3DC. Halt scoliosis curve progression (in children and adolescents, we strive for reduction). Create a stable, more balanced spine. Work to improve postural appearance. Improve pulmonary function via corrective breathing and active rib mobilization. Reduce or relieve pain caused by scoliosis. Maintain corrections during daily activities. 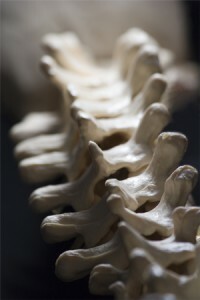 Gain knowledge of managing scoliosis on their own. This treatment option for patients becomes available one-year after spinal fusion surgery. The goals of post-surgical treatment are to stabilize the spine, teach the patient how they can prevent collapse from happening above and below the fusions as well as improve posture and reduce pain if present. Whether you suffer from severe scoliosis or mild scoliosis, Dr. Moramarco and his scoliosis team can help! Contact us today for your consultation.